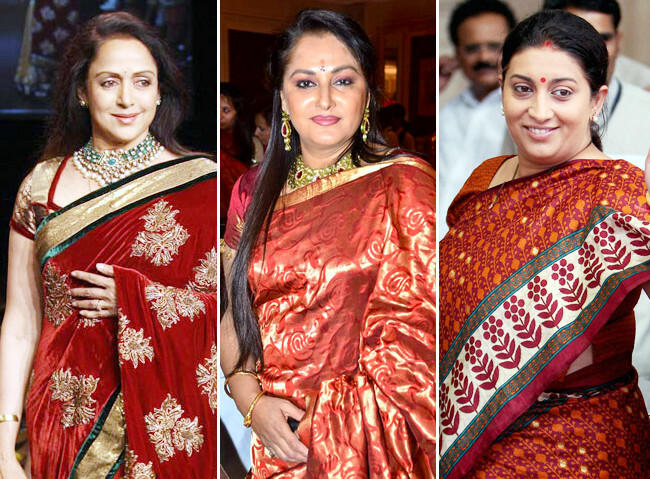 Films of stars Hema Malini, Jaya Prada, Nagma, Smriti Irani and Jaaved Jaaferi, who are all contesting Lok Sabha elections, have been banned from being telecast on the national television channel Doordarshan, officials said today. After programmes and films were brought under the ambit of the model code of conduct, official said these will now be viewed as objects that influence voters. Polling in parliamentary constituencies from where Raj Babbar (Congress), Nagma (Congress) and Jaya Prada (Rashtriya Lok Dal) are contesting have been completed, while polling is yet to take place in constituencies of Hema Malini (BJP), Jaaved Jaaferi (AAP) and Smriti Irani (BJP). Poll panel officials said they had received several complaints that the film and television stars were getting undue advantages through their films and programmes in an election that should be a level playing field. who the hell watches them anyway .. Hema Malini may be. Is Shatru Bhaiya not contesting this time?